Patricia Ann Ayers Michelson, age 77, of Libertytown, crossed over Friday, October 12, 2018 at 11:42 a.m. at her home, following a brief illness. Born May 21, 1941 in West Virginia, she was the daughter of the late Marion Howard and Ola Lewis Ayers. Twice married, she was preceded in death by her husbands, James A. Lilly Sr. in 1966 and Howard N. Michelson in 2011. Surviving are her children, James “Chucky Ray” Lilly and wife Tammy of Bramwell, WV and Rhonda Ann Reyes and husband Ben of Hedgesville, WV; her grandchildren, who affectionately called her “Love Bug” and “Nanny Poot”, Kimberly Howell and Brandon, Kenny Howell and Ashley, Ryan Jensen, Jordan Jensen, Anthony Graham, Emily Lilly and Donavan Reyes, all of West Virginia; great grandchildren, Mason Meadows, Abigail Howell and Kensley Howell; sister, Eleanora Allen of Maryland; and numerous nieces and nephews. She was preceded in death by three children, Mary Elizabeth, Lisa Gail and Donna Susan; four brothers and two sisters. Patricia was a kind and loving woman who loved nature, the outdoors and especially plants and flowers, which was her greatest hobby. She was full of spirit and uncompromising direction, was always in charge, and she let you know it! She was a very wise woman. 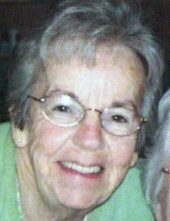 The family will receive friends at Hartzler Funeral Home, Libertytown, 11802 Liberty Road, Frederick on Monday, October 15 from 12 to 2 p.m. A funeral service will follow at the funeral home at 2 p.m. Interment will be in Chapel Cemetery, Libertytown, where her sons and grandchildren will serve as pallbearers. To send flowers or a remembrance gift to the family of Patricia Ann Ayers Michelson, please visit our Tribute Store. "Email Address" would like to share the life celebration of Patricia Ann Ayers Michelson. Click on the "link" to go to share a favorite memory or leave a condolence message for the family.